Tiwa Savage has finally addressed the situation that happened on Thursday, when her husband Tunji Balogun took to his instagram page to say he was tired of the marriage and accused her of infidelity as well as accusing her mother of witchcraft. 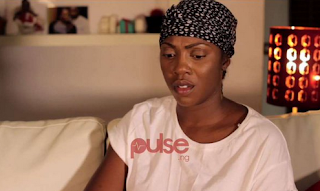 In an exclusive chat with ThisDay journalist, Azuka Ogujuiba which was obtained by Pulse Tv, Tiwa admits she knew her marriage was over two months ago but wasn’t sure if she should come out on it or not. She admits they will both henceforth move on with their lives and truly there’s no more marriage between them. She also denied sleeping with those he accused her of sleeping with.